After years of calls for video technology to be implemented into football in order to help referees, it has been rolled out in competitions around the world, including the Bundesliga, Serie A and the World Cup. It was first used in England in November 2017 when the Three Lions faced Germany in a friendly, and then made its competitive debut in January 2018 as Brighton & Hove Albion took on Crystal Palace in the FA Cup. Far from eliminating debate around refereeing decisions, however, the new system resulted in more discussion and controversy over officiating than would be expected as normal. Overall, there have been good and bad moments for VAR - as it has come to be known - and it is sure to continue to be a talking point while the kinks are ironed out. But what exactly is VAR, what is it designed to achieve and which leagues are adopting it? Here is all you need to know about a major change to the way football is officiated. VAR stands for video assistant referee. It is actually a team of three people who work together to review certain decisions made by the main referee by watching video replays of the relevant incidents. That team is comprised of the video assistant referee himself (who will be a current or former referee), his assistant and a replay operator. They are situated in a video operation room which is essentially a bank of monitors offering different camera angles. Four types of decisions can be reviewed using VAR: goals (and violations in the build-up to them), penalties, red cards and mistaken identity in awarding a card. For a decision made on the pitch to be overturned, it must be a "clear error". The process for reviewing a decision can work in two ways; either the referee can request a review after making a decision or the VAR team can recommend one. In the latter situation, if the VAR judges that there is the potential for a clear error to have been made, he or she can notify the referee. The referee then has three options: they can immediately overturn the call based on the VAR's advice, review the incident themselves on a monitor on the touchline or stick with their initial decision. VAR is not currently written into the Laws of the Game, but is being tested in a number of leagues and tournaments around the world by the International Football Association Board (IFAB), which is responsible for those Laws. It was first trialled in the United Soccer League in the United States during a match between two reserve teams of MLS clubs - New York Red Bulls II and Orlando City B - in August of 2016. It has since been brought in by the A-League in Australia and MLS itself. In addition, FIFA has got a closer look at the system at a number of its international tournaments, such as last year's Under-20 World Cup and Confederations Cup. Germany, Italy and Portugal introduced it for the 2017-18 seasons in their top-flight competitions, while the Copa Libertadores had VAR from the semi-final stage onwards in 2017. "We've been satisfied with the way it's gone," Webb told ESPN . "We always knew that it was a big undertaking for any competition that decides to implement VAR. "It's a big thing to implement, and a lot of work goes into both training our people and preparing our stadiums. Me personally, I've been really impressed by the way that's been put together by MLS." Will VAR be used in the Champions League? Yes, VAR will be used in the 2018-19 Champions League from the knockout stage onward following a decision by the UEFA Executive Committee in late 2018. That means its first official use in the competition will be on February 12 when the initial last-16 first-leg ties are played. "We are convinced that it will be beneficial for our competitions as it will provide valuable help to match officials and will allow us to reduce incorrect decisions," said UEFA's chief refereeing officer, Roberto Rosetti. The decision to roll out the technology in Europe's premier continental competition comes after a period of successful testing and means it follows other top-level tournaments in doing so. As well as the 2018-19 Champions League knockout stage, VAR will also be used in other UEFA competitions including the 2019 Europa League final, the Nations League finals and the 2019 Under-21 European Championship. It will be used for a longer period in the 2019-20 Champions League - from the play-off stage onwards - and UEFA has indicated that it plans to introduce it at Euro 2020 and the 2020-21 Europa League. When will the Premier League get VAR? There will be no VAR in the Premier League for another year at least after two thirds of the division's clubs voted against its implementation from the 2018-19 season onward. However, testing behind the scenes is set to continue. VAR was first used in a competitive English game on January 8, 2018 as Brighton took on Crystal Palace in the FA Cup, and it was used again two days later as Chelsea hosted Arsenal in the Carabao Cup semi-final first-leg. Chelsea also saw VAR implemented for their FA Cup third round replay with Norwich City, where a decision not to use it following a penalty appeal from Willian caused controversy. The Chelsea forward was booked for diving, but then-Blues boss Antonio Conte was angry at the fact officials decided not to use the video referee. “I think that we need to improve if we want to use this new system," Conte said. "Today, in this game, there is a situation very clear with Willian at the start of the first period of extra-time. I think the situation was very clear. I watched it and this is a penalty. Very clear. We have been using it in Italy for six months, and you can reduce a lot the referee's mistakes." How well does VAR work? How well VAR works depends on who you ask. FIFA and Infantino, as mentioned, have insisted the system - while imperfect - has been successful on the whole. 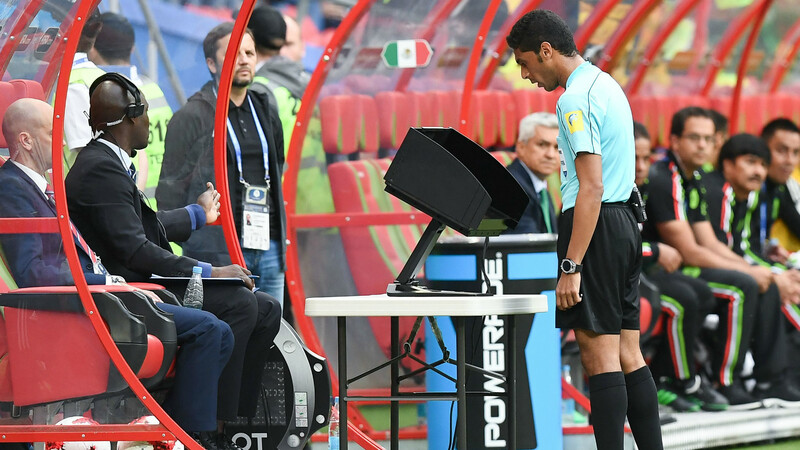 They say that during the group stages of the 2017 Confederations Cup, six "game-changing" decisions were made with the help of VAR in addition to another 29 "major incidents". 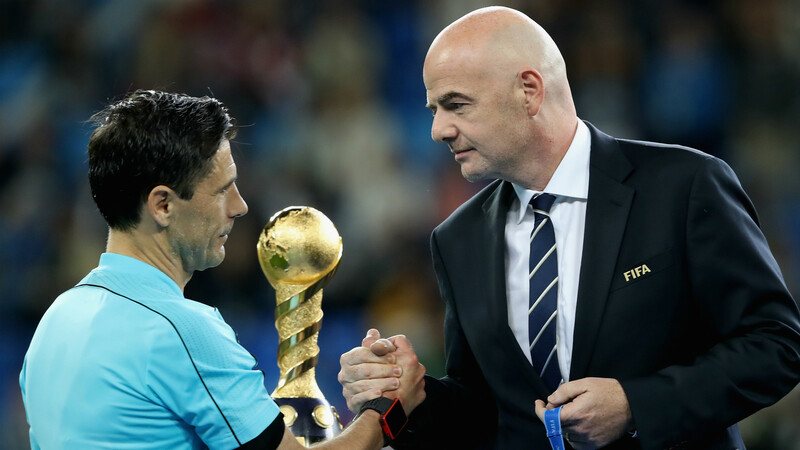 Their position, as Infantino stated, is that the Confederations Cup would have been a different, and less fair, tournament without the reviews. Certain players and coaches, however, have been less impressed. A common complaint has been the time taken to review decisions and the way that causes confusion and brings a halt to the play. Another issue was that not every contentious decision would be selected for review. 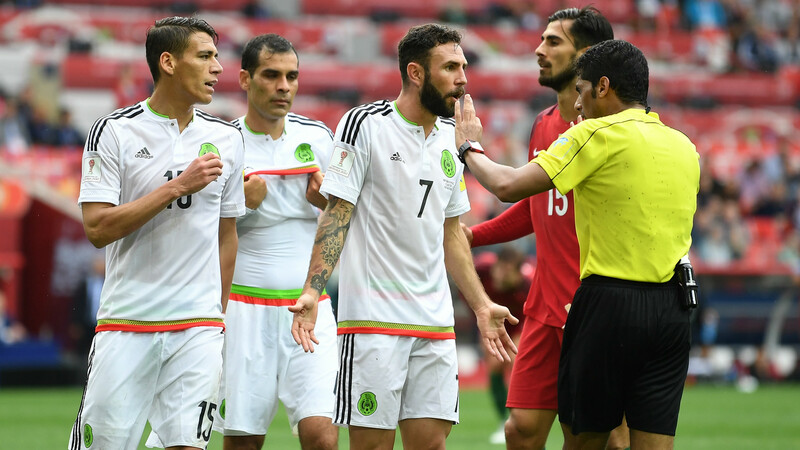 During Mexico's third-place play-off against Portugal in the 2017 tournament, for example, Pepe appeared to push Hector Moreno over in the box but despite the appeals of Mexico's players and the replay being played on the stadium's big screen, the game continued. "Some plays, yes [they refer], and others no," El Tri goalkeeper Guillermo Ochoa said. "They will have to find a fairer way." Then there is the simple fact that while VAR should help referees to make correct decisions, it does not guarantee them; calls are still made according to the officials' judgement. In the Bundesliga, fans have criticised the length of time it takes for some decisions to be made using VAR, with 47 per cent of people calling for it to be abolished in a poll run by Kicker . "I was full of positive curiosity about it at the start of the season," Bayer Leverkusen sporting director Rudi Voller told Sky when it was first introduced. "Now, after half a season, my verdict on it is not good. And I doubt it is going to get any better." Similarly, former Juventus goalkeeper Gianluigi Buffon criticised the use of VAR in the early days of its implementation in Serie A: "They are overusing it and making mistakes. I don't like it this way, it's not good," Buffon said. "It's something which, if used sparingly, could give us excellent results and be a good thing for football." However, since then, both German and Italian top tiers have come accustomed to using video referees, with the Bundesliga adding another assistant to help analyse decisions and speed up the length of VAR decision-making. It is hoped that these teething issues will be ironed out the more it is used and the trend is certainly towards widespread use across the globe.